Local charity Foster Hope put a call out for winter pyjamas in about May 2017 for children being placed in foster care. 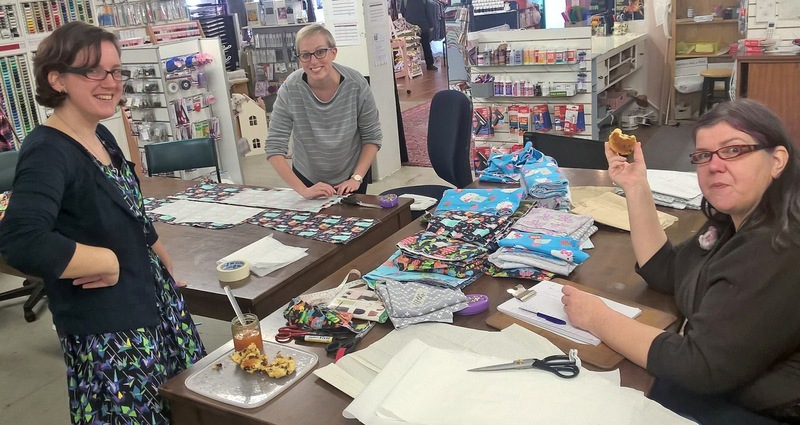 Any excuse for some selfless sewing, the Wellington Sewing Bloggers Network members jump to it! Laura and I staged a flannel raid at the local Voldemart, which was the cheapest option for good quality flannel, and bought as much as we could on our budget of donated coupons and cash. I reckoned we were going to get 25 pairs out which seemed pretty impressive! 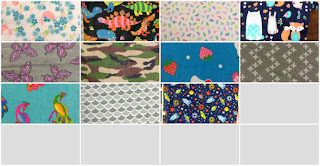 These are all but one of the fabrics we bought. It was tricky as we wanted to get gender neutral options, but they were few and far between, whereas some of the girlier ones were on super special, so we probably ended up with more pretty ones than plain. Oh well. 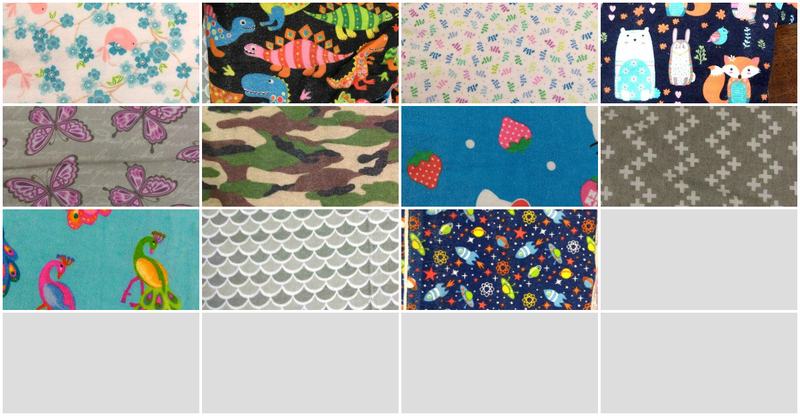 (the plain flannel was rubbish quality compared with the prints – what is that all about?) We (Made Marion Craft) contributed the only two flannels I had in stock – the grey with pink butterflies and the second from right top row. I put three loads of flannel through the wash, and dried it and pressed them dry over the next couple of nights. All 40+m of it. I actually thought I had killed my iron at one point, and bought a new one, but it was the plug. BUT I love my new Tefal iron so all good! ANYWAY, one Sunday not long after, a group of us gathered together to cut out, eat scones and laugh. And I guess I’ve given the game away – we managed to get 47 pairs of pyjama bottoms out of our haul! After angsting over what to make the tops out of, we settles for the $10 merinos at the Fabric Store, and after another cutting bee, the champion overlocker and cover stitch brigade got stuck in and made 47 tops. It was a huge effort from everyone and it wasn’t until near the end of 2017 that Wendy was finally able to pair them all up, bag them, label them and deliver them to Foster Hope. Now from a cost perspective, it probably would have worked out about the same to buy ready to wear jim jams from somewhere cheap like TWH, but honestly, we delivered good quality fabric pyjamas in sizes from 0 to 15 years, with merino or merino blend tops. And the slave labour got fed scones so it’s not so bad.